Richard Houghton Trimble, age 63, a resident of Bullhead City for 22 years, passed away Sunday, May 7, 2017. He was born May 22, 1953 in Lynwood, Calif.
Rick was a painter by trade. He was an avid music lover and guitar player and played with several bands in his early years. He also enjoyed playing pool. His quick wit and fun personality will be missed by all who loved him. 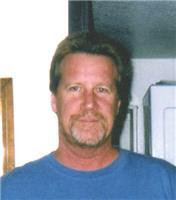 He is survived by his mother, Shirley Glisson of Bullhead City; two sisters, Susan Brusby of Medford Ore. and Lynda Wisecup of Laguna Beach, Calif.; his life long partner, Alona (Suzie) Corbett of Bullhead City; niece, Marilyn Robinson of Lake Oswego, Ore.; and nephew, Chuck Robinson of Milwaukie, Ore.
Services will be held for Rick at 11 a.m. Wednesday, June 7, 2017 at Community Lutheran Church, 2275 Ricca Rd., Bullhead City, AZ. Reverend Michael Higgs will officiate.